Mr Diphofa became the Director-General of the Department of Traditional Affairs with effect from 01 February 2018. He was the Director General of the Office of the Public Service Commission (OPSC) between 2010 and 2011, and the Director General of the Department of Public Service and Administration (DPSA) from November 2011 to January 2018. 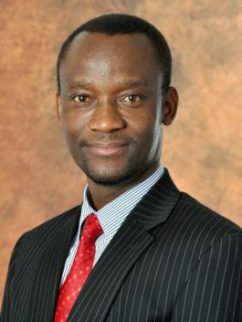 He has previously also served as Deputy Director-General, Monitoring & Evaluation and later Deputy Director-General, Leadership and Management Practices at the OPSC and as Chief Director (Service Delivery Improvement Branch) at the DPSA. Mr Diphofa has also held various positions within the Joint Education Trust, an agency established in 1992 as a partnership between business, labour, community and political organisations to provide support to development initiatives in the field of Education and Training. His last position in the Joint Education Trust was that of Deputy Executive Director. Mr Diphofa holds BAPaed, and BEd degrees from the University of the North (Turfloop) and Master of Education and Master of Management (Public and Development Management) degrees from the University of the Witwatersrand.